Lorena Angulo: Having FUN with paper clay !! I just finished making one of my rings for RAW with a material that I had not been using a lot lately. It was so much FUN to go back to this clay and just relax and play with it. This is one of the great things about RAW, it gives me the opportunity to play with other mediums to create. This time I choose paper clay and colored pencils. After getting sick almost a week ago, this play day with myself and paper clay was a refreshing and excited adventure. 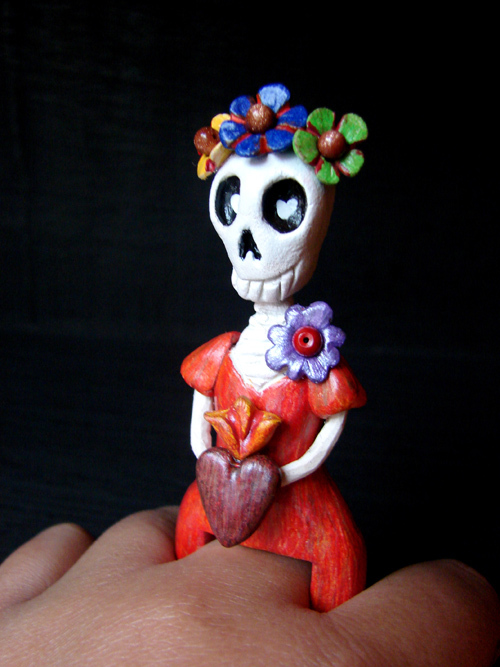 I hand sculpted the ring and used colored pencils to give a bright and colorful finish to my piece. 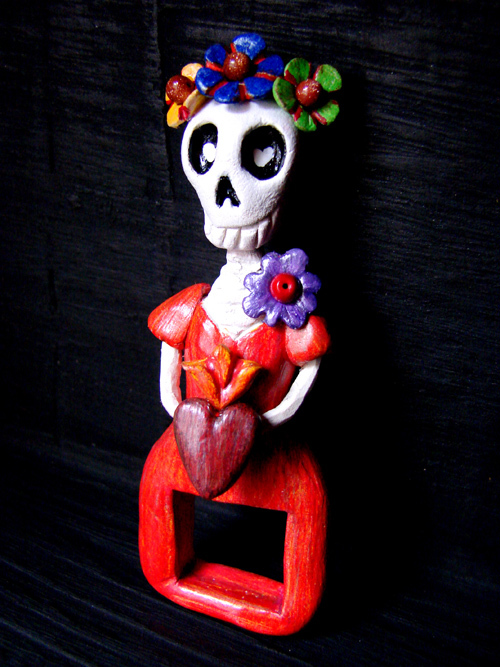 The fist idea that came to me was to create a "Calavera" holding a sacred heart in her hands. Here it is ! Hope you like it !! 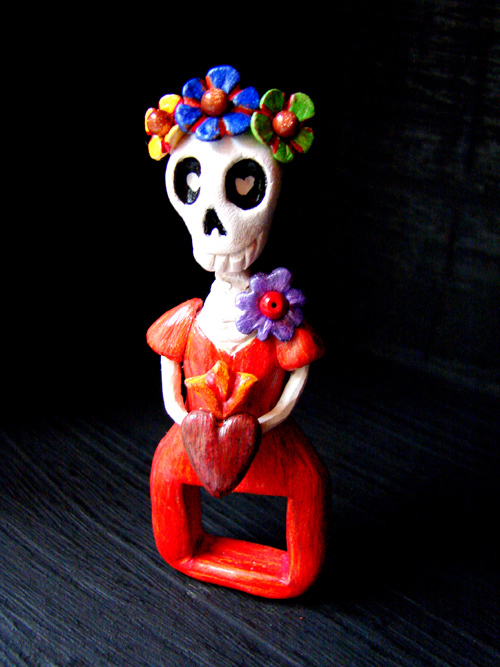 Paper clay, colored pencils and beads. Do you like to play with new materials and just have fun experimenting with them? I sure did !! This is amazing! I have a friend who makes simple beads in paper clay, but I've never seen sculpture of this intricacy before. WOW. I had a great time making this ring ! !